Šabac (Serbian Cyrillic: Шабац, pronounced [ʃâbat͡s]) is a city and the administrative center of the Mačva district in western Serbia. The traditional centre of the fertile Mačva region, Šabac is located on the right banks of the river Sava. According to the 2011 census[update], the city proper has population of 53,919, while its administrative area comprises 118,347 inhabitants. The name Šabac was first mentioned in Ragusan documents dating to 1454.The origin of the city's name is uncertain; it is possible its name comes from the name of the city's main river, the Sava. Its name takes on a variety of forms; the town is known as Szabács in Hungarian, Böğürdelen in Turkish, and Schabatz in German. Archaeological evidence attests to more permanent settlement in the area from the Neolithic. In the Middle Ages, a Slavic settlement named Zaslon existed at the current location of Šabac. The settlement was part of the Serbian Despotate until it fell to the Ottoman Empire in 1459. In 1470, the Ottomans built the first fortress in the town and named it Bejerdelen (Böğürdelen, meaning "side-striker"). In 1476 the Hungarian king Matthias Corvinus captured the fort and it remained under administration of the Kingdom of Hungary until 1521, when it was again captured by the Ottomans. Under Hungarian administration, the town was part of the Banate of Mačva whereas under Ottoman administration it was firstly part of the Sanjak of Zvornik within the Province of Bosnia, and later part of the Sanjak of Smederevo. Šabac was the administrative center of the Nahija of Šabac, a local Ottoman administrative unit. During the Ottoman period, Šabac was a typical oriental town with tiny streets, small shops and several mosques. 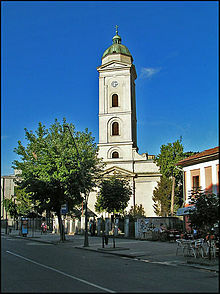 The population was composed of both Muslims and Serbs. Until the 19th century, Šabac was mostly under Ottoman administration, but control of the town also changed hands several times between the Ottoman Empire and Habsburg Monarchy. During the first period of Habsburg administration (1718-1739), Šabac was part of the Habsburg Kingdom of Serbia. After the Treaty of Belgrade (1739), Šabac reverted to Ottoman control and, with the new border line between the two empires, it gained importance as a border town, as well as a market town. A second period of Habsburg control of the area occurred in 1789-1790, the storming of the city being one of the early experiences of the renowned military leader Józef Poniatowski, although the Ottoman control over area was subsequently restored. Šabac became a site of importance in Serbian history in the First Serbian Uprising when, in 1806, Karađorđe Petrović led the Serbian insurgents into one of the first victories over the Ottoman army near the nearby village of Mišar. Until 1813, the town was part of Karađorđe's Serbia. After the fall of Serbia in 1813, brief period of restored Ottoman control followed, but after the Second Serbian Uprising in 1815, Šabac was included into autonomous Principality of Serbia. However, Ottoman army remained in the Šabac fort for next several decades. The Obrenović family also left a mark on the town as the place of residence of the enlightened Jevrem Obrenović, brother of Prince Miloš Obrenović, who modernized and urbanized it after the Second Serbian Uprising. The period from 1820-1850 saw the establishment for the first time in Šabac of a hospital, a pharmacy, a Serbian grammar school, a gymnasium, a theatre, and a musical society. The Ottoman army evacuated the fort of Šabac for good in 1867, marking the end of the Ottoman presence in the area. The first newspaper in the Kingdom of Serbia was printed in Šabac in 1883, and the town was also the first in Serbia where women started visiting kafanas (pubs) on Sunday afternoons, as was customary for men. The town prospered until the First World War when it was occupied and devastated by Austro-Hungarian army and had its population halved (from cca. 14,000 to 7,000). The World War I is also remembered for the battle on nearby Cer mountain where the Serbian army under general Stepa Stepanović won an early victory against Austria-Hungary in August 1914, the first Allied victory in the war. After the war, Šabac was decorated with the French War Cross with Palm (1920), the Czechoslovak War Cross (1925), and the Order of the Karađorđe's Star with Swords (1934). Since 1918, the town is part of the newly formed Kingdom of Serbs, Croats and Slovenes (later renamed to Yugoslavia). 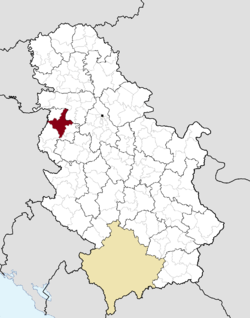 From 1918 to 1922, it was administrative seat of Podrinje District, from 1922 to 1929 administrative seat of Podrinje Oblast, and from 1929 to 1941 it was part of the Drina Banovina. An early milestone in the Yugoslav era of the town's history was the opening of the Zorka chemical plant in 1938. The city's renewal was interrupted by World War II and occupation by German troops (from 1941–44). During the German occupation, Šabac was part of the area governed by the Military Administration in Serbia. Some 5,000 residents of Šabac were imprisoned along with 20,000 others in the Šabac concentration camp; including 1,200 fleeing Jews in the ill-fated Kladovo transport. Eventually, 7,000 inmates were killed. [clarification needed] The city was liberated from occupation by the Yugoslav Partisans in 1944. After the war, it was included into People's Republic of Serbia within the new socialist Yugoslavia. Since then, it grew into a modern industrial city with the aforementioned Zorka chemical plant and an expanded population. The 1970s saw the construction of the first modern sports hall. The swamp at the city's outskirts, Benska Bara, was drained and turned into a residential neighborhood, and a new bridge was built over the Sava river. By 2010, the population of the city and its suburbs had risen to 75,000. 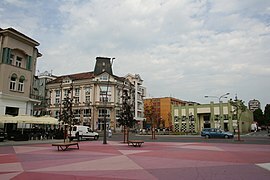 According to the 2011 census results, the city of Šabac has a population of 115,884 inhabitants. Prior to 1990, Šabac had one of the best developed economies among cities in Yugoslavia. However, international sanctions against Yugoslavia during the Bosnian War provoked the shutdown of the Zorka plant, which was the main enterprise in Šabac. Many other major local firms like "Šapčanka", "Izgradnja", and "Nama" also shut down during this period. The main industries of Šabac today are agriculture, transportation and food production. Since 2000, some of the more important companies are diary plant Mlekara Šabac, Elixir Group, Zorka Pharma, and Hesteel Serbia Iron & Steel - Tin mill. As of September 2017, Šabac has one of 14 free economic zones established in Serbia. High medicine school "Dr Andra Jovanović"
Serbian Railways class 711 diesel multiple unit on Šabac-Ruma local passenger train leaving Šabac. The railroad through Šabac connects Ruma (corridor X) and across Šabac, Loznica and Zvornik proceed Drina and connect Serbia with Bosnia and Herzegovina. A branch which connected this line with Bogatić (Petlovača - Bogatić) is locked out. The railway is used for the transport of goods and raw materials for the Zorka factory and passenger transport to Ruma. 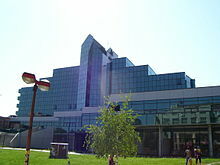 According to unofficial data, in the city of Šabac, there are over 300 registered non-government organizations, with wide variety of activities and different primary goals. Traditionally, the most active are those organizations whose primary goals are humanitarian, protection of the rights of persons with disabilities, protection of the rights of ethnic minorities, protection of the vulnerable social categories, ecology, etc. Beside traditionally active organizations in Šabac, there are non-government organizations which unites young people in purpose of protecting their own rights. Under the social category of youth (young people) are those who are not older than 30, and not younger than 15 years, according to Ministry (Department) of youth and sports, of the Republic of Serbia. Some of the most active organizations in Šabac are: Youth Umbrella (Omladinski Kišobran), Caritas - Šabac, Roma for Roma, Human heart of Šabac (Humano srce Šapca), NGO Light, NGO Ecos. There are three versions of the coat of arms of Šabac: the Primary, Middle, and Large. 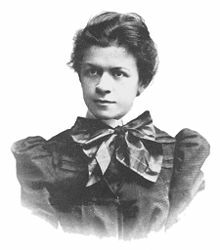 ^ a b c "Zvanična prezentacija grada Šapca - Istorija". ^ Anderl and Manoschek. 2001 Gescheitert Flucht. Vienna: Mandelbaum. ^ "Pygmalion School of English". ^ "List of Affiliation Partners within Saitama Prefecture". International Exchange. Archived from the original on 2016-01-04. Wikimedia Commons has media related to Šabac.